We made a cute, custom medallion for Felicia's Farm's spring benefit. The medal was awarded to the winner of a chef challenge, with participants from great Tucson restaurants like Boca Tacos and Agustin Kitchen. Felicia's Farm is a non-profit, four-acre, urban farm that donates the eggs their chickens lay and everything else they grow to Casa Maria, a local soup kitchen.? We were thrilled to have the opportunity to support their cause! This holiday season, help get food on the plates of those in-need, and proudly wear your dietary choices around your neck. Are you Gluten-free, Vegetarian, Carnivore, Loca-vore, Pescatarian? Inspired by a growing community interest in food, diet and farming, we are unveiling a line of fun charms called “Toast or No Toast?” Symbols of food we eat or avoid, such as toast, chicken, fish, or milk, will be available. The “No” charm will be inside of a circle with a line through it. Mix-and-match the charms to tell your food story! Ten percent of the profits from these pendants will be donated to the Tucson Community Food Bank. The Carousel of Hope, presented by Mercedes-Benz, happens every two years in Beverly Hills, CA, and benefits the Children's Diabetes Foundation. The MC for this year's event is Jay Leno! We made a stunning 14-karat white gold lapel pin with the event logo for their silent auction. A circle of paved diamonds encircles the purple carousel horse and child. For the holiday season, we continued our tradition of giving to Youth On Their Own. The Krikawa staff collectively put together $1000 worth of school supplies, non-perishable foods and toiletries for the teenagers in-need. The Southern Arizona office of the JDRF (Juvenile Diabetes Research Foundation) Desert Southwest Chapter provides community support for children and adults living with type 1 diabetes (T1D) and their families. This benefit at Loews Ventana Canyon Resort will help to make a difference in their lives. The event will include a gift certificate from Krikawa in the auction catalog. The Alzheimer's Association® Desert Southwest Chapter aids over 120,000 people in the Arizona and New Mexico living with Alzheimer's disease. Wine to Remember provides the opportunity to enjoy some of the finest wines and culture Tucson has to offer while supporting the programs, services and research of the Alzheimer's Association. Support the research to combat Alzheimer's by bidding on a gift certificate from Krikawa at the Hacienda Del Sort Resort. Our Family Services is a Tucson organization that helps Southern Arizona through mediation, counseling, education, case management, housing, and information and referral. We are supporting this them through their online auction. This fundraiser will offer an exciting catalog of goods and services, from haircuts and manicures to dining, travel, entertainment and fine art. Our contribution is a $200 gift certificate good towards custom jewelry and repairs. 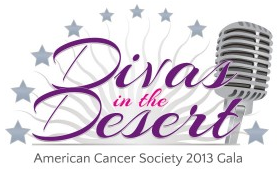 Divas in the Desert is a star-studded event hosted by The American Cancer Society. Performers include Jennifer Hudson and Jordin Sparks. Guests have the opportunity to bid on a $1500 Krikawa gift certificate during the live auction. Youth On Their Own, an organization dear to ours hearts, is celebrating 27 years of serving Tucson! This benefit at Loews Ventana Resort, is hosted by Mayor Jonathon Rothschild. Guests can bid on a Krikawa gift certificate during the silent auction, and enjoy cocktails with live entertainment. The El Rio Health Center provides accessible and affordable healthcare primarily to under-served populations. They are hosting their 19th annual golf tournament at the Skyline Country Club. The auction features a $200 gift certificate from Krikawa. The CRUSH Wine, Food and Art Festival is comprised of a party at the Tucson Museum of Art and gala at Loews Ventana Canyon. Krikawa is donating a $200 gift certificate good towards custom jewelry and repair for the silent auction. The Girl Scouts of Southern Arizona are hosting Cookies & Cocktails at Skyline Country Club to benefit over 14,000 girls. Chefs from the top Tucson restaurants are creating decadent desserts using Girl Scouts cookies, and live entertainment is provided by the Bluerays. Krikawa is supporting the Girl Scouts by offering a gift certificate to the auction. The Gootter Foundation helps the fight against sudden cardiac death, and is hosting a tennis tournament and gala dinner at the Lodge at Ventana Canyon and Westin La Paloma Resort & Spa respectively. Krikawa is offering a gift certificate as a part of the dinner's live auction. It has become a tradition for the Krikawa staff to give to those in-need every Christmas holiday. This year, we held a food drive for an organization close to our hearts, Youth On Their Own. This non-profit helps teenagers without homes finish high school and stay off the streets. We collected everything from sketch books to tooth brushes for the organization's commissary. This fundraiser benefits the Ronald McDonald House Charities of Southern Arizona. Krikawa donated a gift certificate to the silent auction. This evening at St. Philip's Plaza features wine, live entertainment and food from over 40 local restaurants. St Philip's Plaza is hosting Taste of Spring, an American Parkinson Disease Association event honoring Payton Davies. Krikawa donated a pair of Fair Trade blue zircon and white gold earrings. Enjoy a remarkable evening of delightful cuisine, a silent/live auction, and phenomenal entertainment benefiting Youth On Their Own! This organization is celebrating its 26th year helping teenagers graduate high school and stay off the streets. For tickets and more information, please visit the Youth On Their Own website. We donated this new, one-of-a-kind ring for the auction. 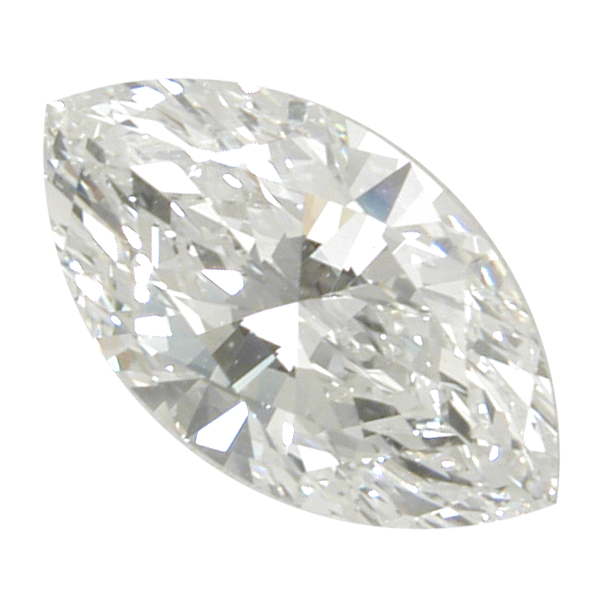 It features a rose-cut diamond and white diamonds as part of a shooting star. The rose gold band has a textured finish. This holiday season, Krikawa staff donated gifts to the Arizona branch of Operation Homefront, an organization that "provides emergency financial and other assistance to the families of our service members and wounded warriors." The Open House was held at Tucson Air National Guard for all branches of Active Duty, National Guard, Reserve and their families. Children of service members were able to see Santa Claus and choose gifts to give to their parents. The Tucson Hebrew Academy is presenting this year's Tikkun Olam Award to Congresswoman Gabrielle Giffords. The Jewish concept of Tikkun Olam – "repairing the world" – is a call for all to do their part to help to repair the world, and this prestigious award is given to community members who exemplify this concept. Proceeds from Tikkun Olam benefit the Academy, Tucson’s only Jewish day school that has been serving the community for more than 30 years. Krikawa is donating a $250 gift certificate to the silent auction. Krikawa is donating a mokume wedding band to "THE PARTY" benefit for The Boys & Girls Club of Tucson. Proceeds from "The PARTY” will support operations for our six strategically located clubhouses which serve 7,000 at-risk youth annually. "THE PARTY" will feature multiplatinum-selling alternative rock band Third Eye Blind and appetizers from Fox Restaurant Concepts. This fundraiser featured good chili from Tucson Originals restaurants such as Brushfire, Bushi, Chad’s Steakhouse & Saloon, Eclectic Cafe, Frankie’s, Jonathan’s Cork, Pastiche Modern Eatery, Ric’s Cafe and Risky Business. Proceeds went to the Arizona Daily Star Sportsmen Fund's Send a Kid to Camp, which helps economically disadvantaged kids attend camps hosted by the YMCA and Boy and Girl Scouts. Since 1947, this program has helped send more than 34,500 children to camp. Krikawa Jewelry donated a gift certificate to the event. Share the Magic is the second annual gala to benefit the Diamond Children's Medial Center Gala. It will be hosted by The Westin La Paloma Resort & Spa. The gala features cocktails, a silent auction, dinner and dancing! Entertainment will be provided by illusionist Michael Grandinetti and The Walkens. Krikawa donated a pair of Arizona Peridot earrings to the auction. St. Philip's Plaza hosted an event for Homicide Survivors, Inc. This evening helped raise funds to help rebuild the lives of those impacted by murder. Guests enjoyed food provided by seven local restaurants, jazz, karaoke, and a fabulous silent auction. 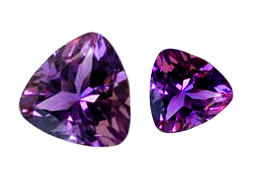 Krikawa donated a pair of Four Peaks trillion cut amethyst earrings. Krikawa Supports the Diamond Children's Medical Center Grand Opening! Opening in 2010 on the campus of the Arizona Health Sciences Center at University Medical Center, Diamond Children's Medical Center offers a healing environment where families are at home and children feel safe while receiving the advanced care they need from the pediatric specialty physicians and researchers of the University of Arizona Steele Center, as well as community pediatric physicians. Diamond Children's Hospital Gala and Auction will be held on Saturday, October 16th, 2010 at 6 PM. 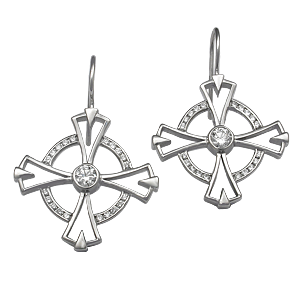 Krikawa donated the Coptic Cross Platinum and Diamond Earrings to help benefit the hospital. Ten percent of all profits from Krikawa's new Arizona gemstone jewelry line to go to Casa de los Niños! 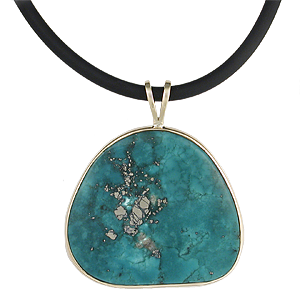 Shown is an Arizona-mined turquoise pendant. Krikawa Jewelry Designs is an official sponsor of the Tucson American Youth Soccer Organization (AYSO) chapter! 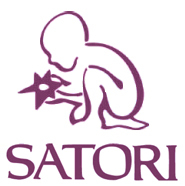 Krikawa made a donation to Satori Charter School to assist in building their playground. Krikawa donated a marquise diamond pendant to an event at Shadowridge County Club in Vista, California. Krikawa staff members donated holiday gifts to two families in need through Casa de los Niños, a Tucson organization that fights child abuse. Tucson's Homicide Survivors, Inc. held a fundraiser in St. Philip's Plaza for innocent victims of crime. Guests enjoyed an evening of desserts, champagne, and a silent auction. 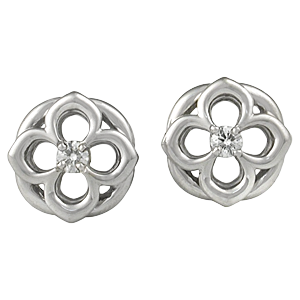 Krikawa donated a pair of palladium diamond Clover Earrings for the auction. The Sacred Set Bracelet was part of a live auction for the Concern Foundation at their 34th Annual Block Party. The Concern Foundation, funding cancer research worldwide, has raised over $40 million dollars since 1968 to cultivate outstanding young scientists and to sustain the progress in prevention and treatment of cancer. With over 120 items included in their auction, only nine items were selected to be in the live auction. Over three thousand people attend this event each year, held in the back lot of Paramount Studios, Hollywood! This exclusive bracelet is created in palladium with Fair Trade gemstones. It links symbols of the world's six major religions with the contemporary symbol of peace. This unique bracelet is currently in store for purchase! Krikawa was pleased to present EARTHWORKS with a check for over $8000 as part of our One Percent for the Planet commitment. EARTHWORKS is a non-profit organization dedicated to protecting communities and the environment from the destructive impacts of mineral development, in the U.S. and worldwide. EARTHWORKS stands for clean water, healthy communities and corporate accountability. Krikawa donated a pair of custom diamond earrings to Desert Voices, an established chorus and organization "committed to promoting an ongoing, positive gay, lesbian, bisexual, and transgender presence in our community."